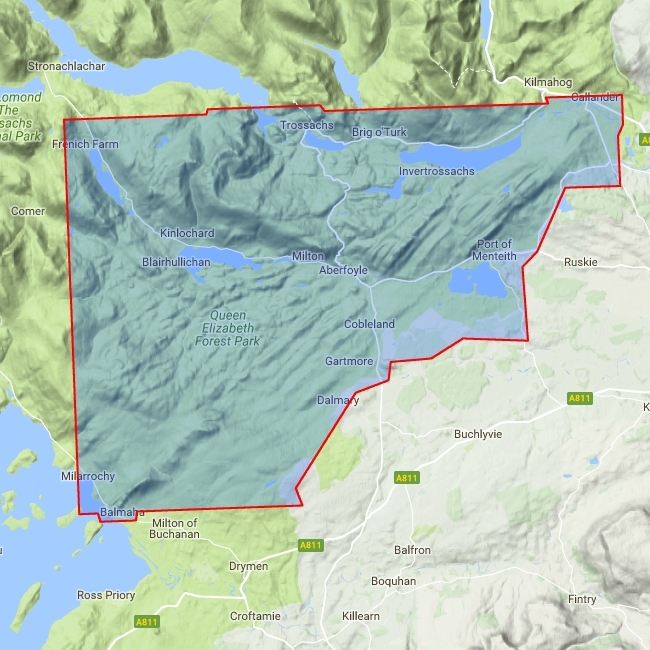 Includes Loch Ard Forest, Ben Venue and the Menteith Hills. 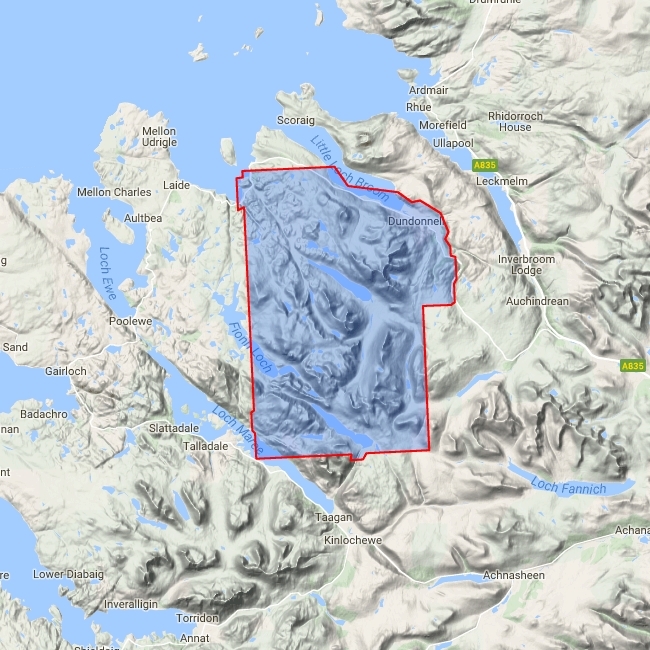 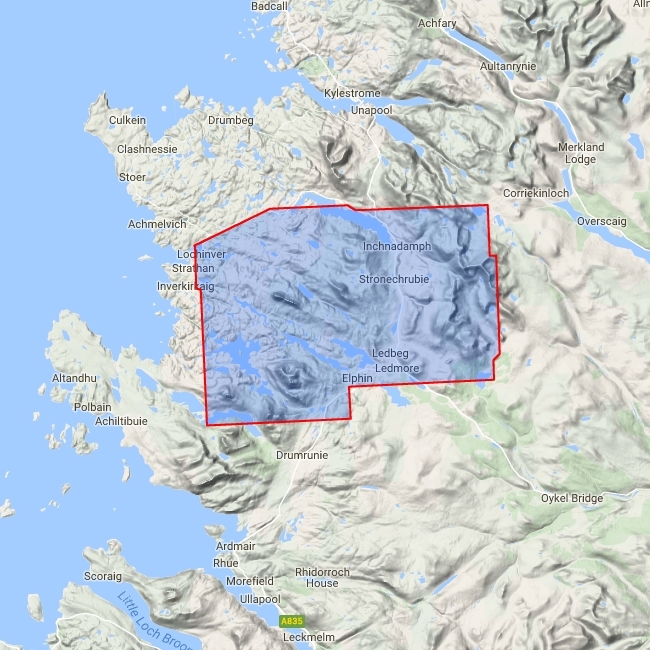 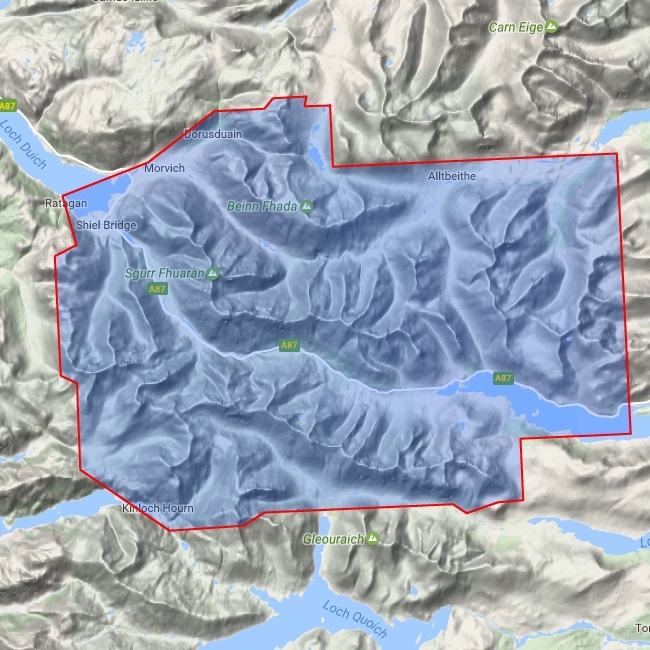 Detailed map for hillwalkers of the south eastern part of the Loch Lomond and Trossachs National Park at the popular scale of 1:25,000. 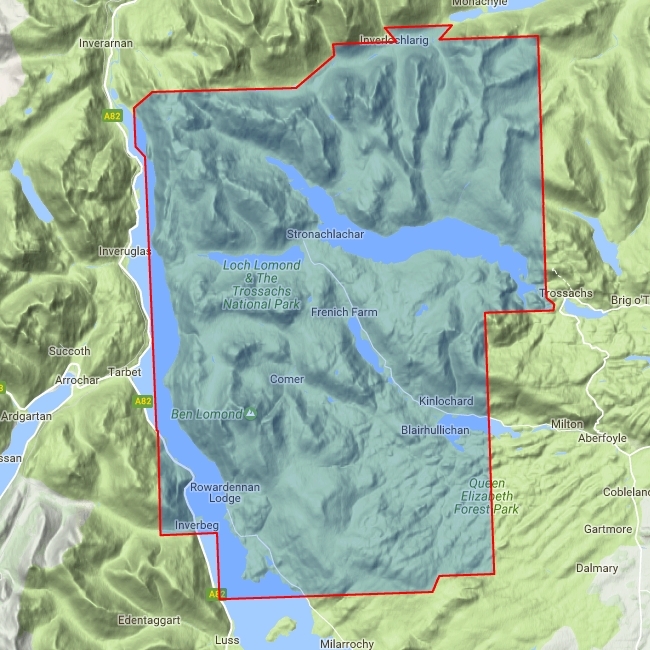 This sheet provides an excellent mountain bike map of Loch Ard Forest. 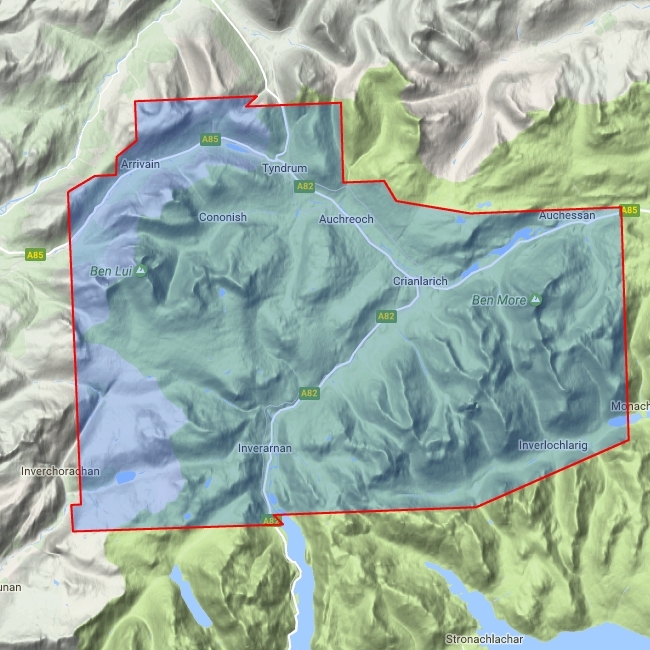 Trails are shown on the map.